If you wish to book an asset, you can do so when creating or editing an event. Tick which assets you wish to book and save the event – our system will automatically check and notify you of any booking conflicts. 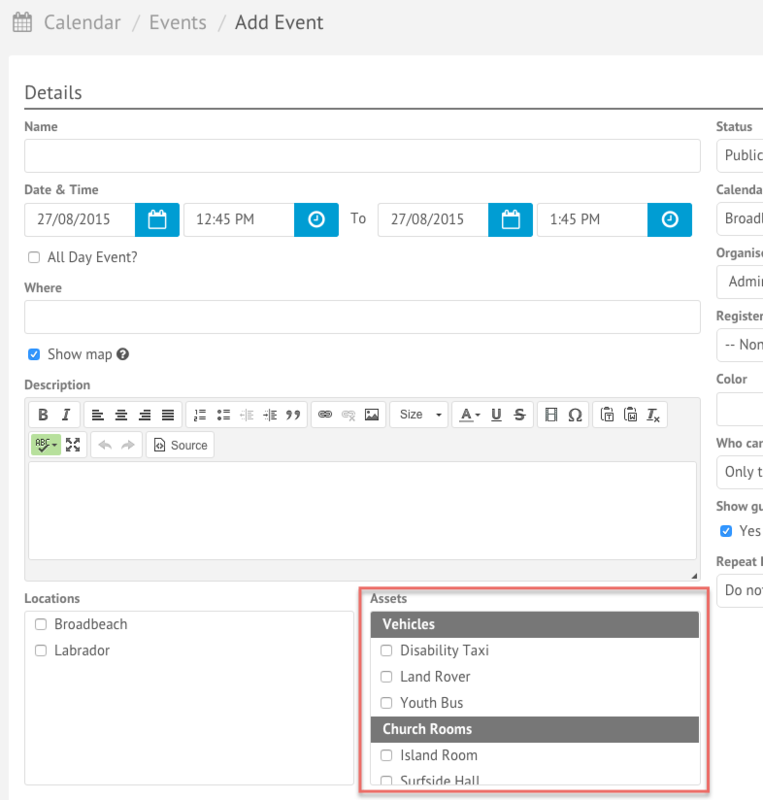 Assets attached to events will only display on the calendar for the event organizer, or if the user has the ability to edit events. If you have set it up that newly booked assets require approval, the asset will be listed as pending and an email will be sent to the asset administrators assigned to manage it. When the asset is approved or declined, an email will be sent to the event organizer notifying them of the decision. If the event organizer is the same person that approved/declined the asset, no email will be sent.